There’s a perfect complement to any two Perfect Chairs. It’s the Wedge Spanner Table, designed to hold reading materials, snacks, beverages or remote controls – whatever you need to stay in your Perfect Chair without having to get up. 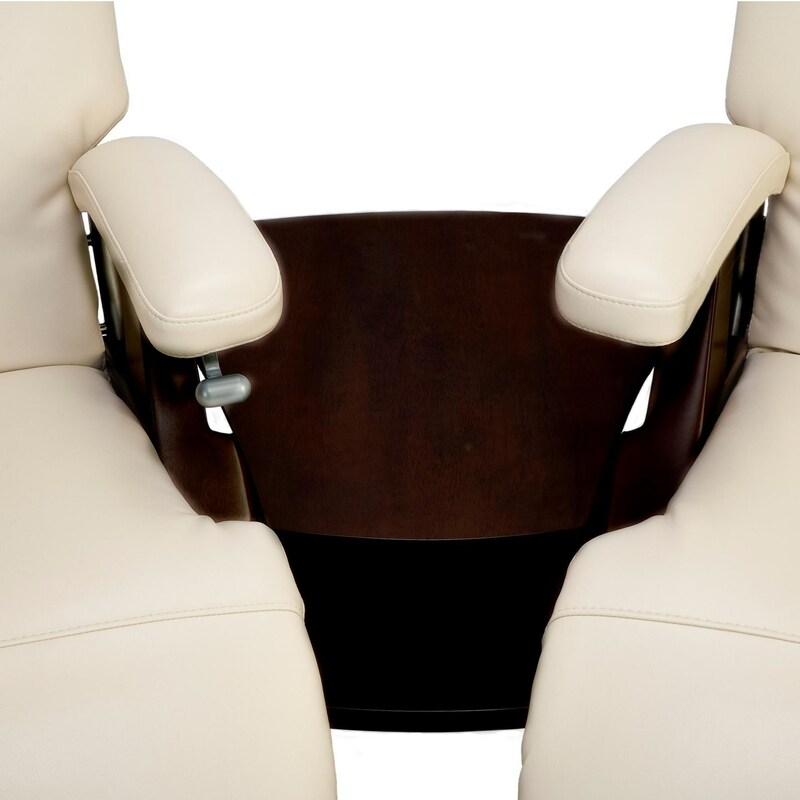 If fact, you don’t have to limit yourself to only two chairs – you can connect a whole row of Perfect Chair recliners in an arc for a great home theater setting. Compact yet sturdy, this spanner wedge table offers two layers for storage and convenience. Wider in the back than in the front, this table creates the perfect connecting wedge. The Perfect Chair Wedge Spanner Table by Human Touch at HomeWorld Furniture in the Hawaii, Oahu, Hilo, Kona, Maui area. Product availability may vary. Contact us for the most current availability on this product. The Perfect Chair collection is a great option if you are looking for furniture in the Hawaii, Oahu, Hilo, Kona, Maui area.